Would you like to recognize a Camdenton Laker Alumni? Give a “shout out” to a future alumni? Or Honor an individual or organization in the community that supports the Lakers? Now is your chance! 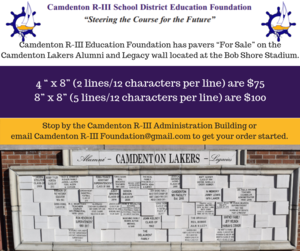 The Camdenton R-III Education Foundation has pavers “For Sale” on the Camdenton Lakers Alumni and Legacy wall located at the Bob Shore Stadium. 4 “ x 8” (2 lines/12 characters per line) are $75 and 8” x 8” (5 lines/12 characters per line) are $100. 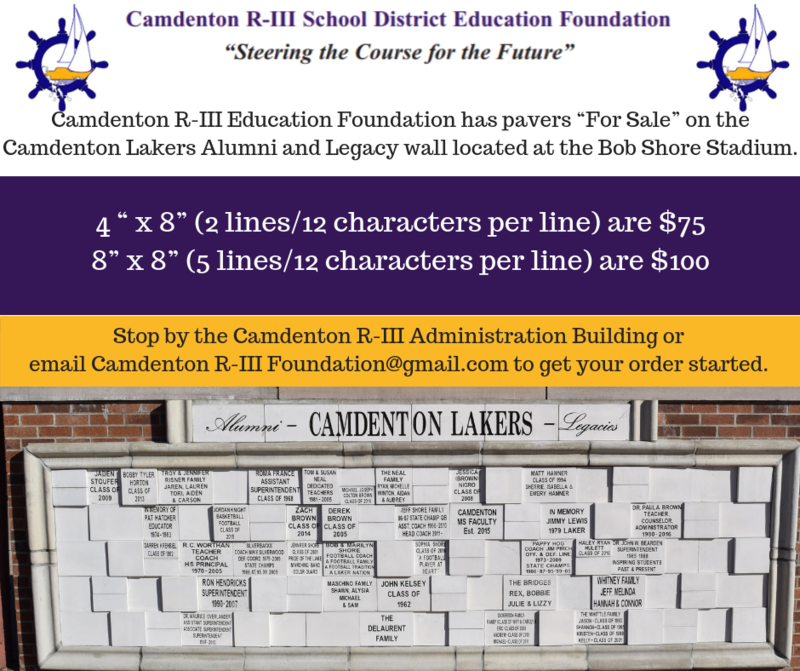 Stop by the Camdenton R-III Administration Building or email CamdentonRIIIFoundation@gmail.com to get your order started.